The smaller Family Room has one double bedroom, one bathroom and a large frescoed living room with double sofa which can be made up into a double bed should it be required and an equipped kitchen corner. It opens through a French window into the back garden separated from the main road by a laurel hedge. The larger Family Room is located on the second floor of the Villa, has pastel colored walls and the original beamed ceilings. It is made of a fully equipped kitchen with dining table , a double bedroom with bathroom and a triple bedroom with a second large bathroom. La Fonte (The Spring) is located in the recently restored sixteenth century farm house, at the end of a path leading to the Villa gate at hundred meters. The house is simply lovely with a stunning view over the rose garden the olive groves and the Chianti hills in the back ground. 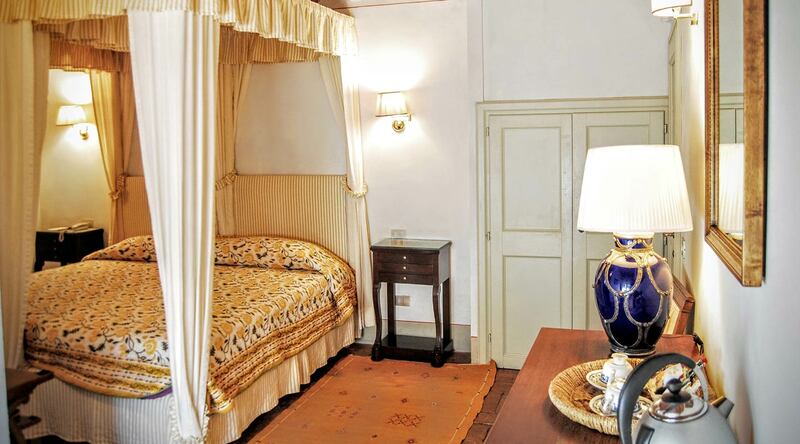 There are two large and light bedrooms each with en suite bathroom, a beautiful living room with the original fireplace and a fully equipped kitchen. 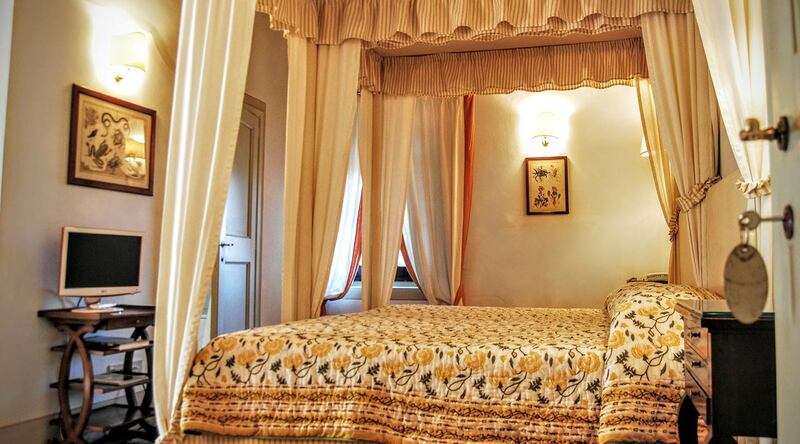 The décor has the same elegant and cosy style of the Villa with linen fabrics and period furniture. If you love peace, silence and light you will not resist La Fonte.